In 1969, the year that Led Zeppelin releases “Whole Lotta Love,” the Rolling Stones release “Honky Tonk Women,” and the Beatles release “Come Together,” Major Tom starts his travels to space. 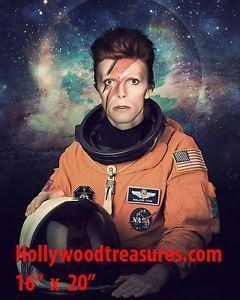 Major Tom is the first character that David Bowie gets into. The song seems to tell a story about an astronaut; however, it actually focuses on a specific human feeling: fear. We all face fear in certain situations where we are powerless. For example, once you get into an airplane, there’s nothing you can do. You must surrender to whatever the possible outcome may be. Of course, travel is not the only situation where this is true. Any huge change in life, like beginning life in a different country, also involves fear and surrender – a human drama that Bowie depicts through the character of Major Tom. Bowie’s fifth studio album, released in 1972, is about another fictional persona, the bisexual character Ziggy Stardust. According to the story, Earth’s natural resources will run out in five years, and the only hope is an alien, Ziggy Stardust, and his/her comrades, the Spiders from Mars. They act as messengers to humanity from an extraterrestrial being, the “Starman.” Since Ziggy is a rock star, he communicates with the youth, who have lost the desire to rock ’n’ roll, and gives them messages of peace and love. He becomes a huge star, who is ultimately killed on stage. It was Bowie himself who killed Ziggy Stardust. Before playing the final show of the Ziggy Stardust tour at the Hammersmith Apollo in London, Bowie said, “Of all of the shows on this tour, this particular show will remain with us the longest because not only is it the last show of the tour, but it’s the last show that we’ll ever do.” At that point, the era of Ziggy Stardust ended. There were various reasons for Ziggy’s death. Over time, Bowie became unable to distinguish whether he was Ziggy Stardust or David Bowie; he began to live an isolated life and act like Ziggy. If you watch him in interviews from that era, it’s like it’s not Bowie himself but instead a bisexual alien that you see. 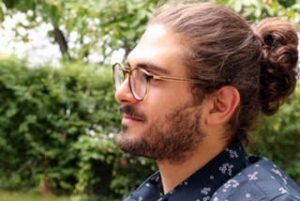 Since he couldn’t distinguish what was real, he put an end to the story due to the serious depression he was suffering. 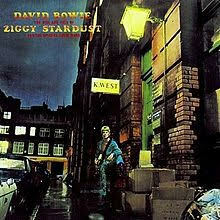 The last song on the album – titled “The Rise and Fall of Ziggy Stardust” – is “Rock ’n’ Roll Suicide,” about Ziggy’s death. However, the song actually reveals Bowie’s feelings. It starts with an acoustic guitar and mellow singing, slowly building to a crescendo. This increasing tension in the song symbolizes Ziggy’s growing problems, which finally result in death. Although Ziggy Stardust, like Major Tom, is a fictional character, the album deals with human emotions, in particular those of Bowie. Ziggy is a thus a prime example of this artist’s practice of creating characters to express his own feelings and ideas. Over the course of his musical career, he would create many others, and every one of those characters was a part of Bowie.